Aren’t these kid of big? I turn up the sensitivity on my mouse very high, and the cursor moves across the screen (1280 pixels) when I move the mouse ~1 cm. 10.4" x 13" seems like overkill. I’ve played around with various mice and mousepads. I couldn’t stand the Habu since it’s a palm mouse, and I’m more a finger control type of guy (you want to do a story, do a story about how mice manufacturers leave out what sort of control their mice are – the most important thing! – on the boxes). Using a copperhead right now. I tried out the Razer mousepad and a different soft one, and found that I had the most control just using my table, sans-mousepad. 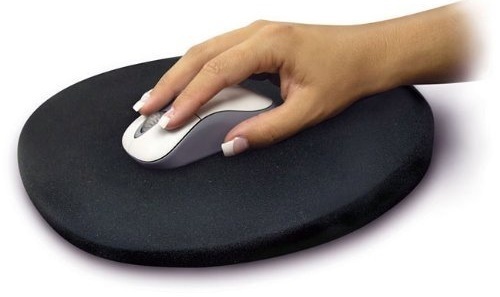 The main reason for a mousepad these days is 1) Comfort and 2) Providing a reliable mousing surface. Glossy tables and tables with no markings on them can confuse mice - my old roommate’s mouse would dance around every time he turned on his desk lamp. So a mousepad is recommended then… but I actually notice better control without the pad on my table, so I just go with that. Less friction, I think. The wrist rests can help if you keep your palm low while mousing, but for people like me that steer with their fingertips, I never touch the thing, so it just serves to get in the way, and gets knocked around accidentally. I was right into LAN gaming for a number of years and practically HAD to have a decent mouse pad because the surfaces at the different LAN shops could be horrid. I’m using my Everglide Ricochet for the computer in this room, and a newer Func 30.r (rough) on my main PC. As far as mice go, I haven’t been able to go past the mx518. They don’t last as long as they should, but they have all the right buttons, and more importantly, the right weight. By the by, the ‘residue’ you refer to I believe to be sweat and hand muck that gets left behind where the heel of your palm touches the pad. I occassionally get a build up in one particular area that slows down the mouse. Lubricating mice feet? Just buy a set of mouse skates! They were every gamers gatorade. Great to see that you are a fan of “Brazil” ! My biggest problem with mousepads is that they tend to slide around on my desk. You suggest a non permanent adhesive, but you can also get little non-slide mats which can fit between an object and a table or desk (don’t know the brand unfortunately, as mine was a give-away from a pharmaceutical company). One under the mousepad works wonderfully. I’ve been using several mice on my current desk for years, without a mouse pad. Never had any tracking issues or damage to the desk. I prefer the freedom. You’ve gotta stop using that flimsy IKEA furniture! KISS - plain old black mousepad. Why? Funky colors and textures seem to trip up the ball or the sensor. And, if you have kids and are using a laptop at the kitchen table and it’s made of glass, no optical mouse works on glass. What’s funny is as I look around the office, 99% of my co-workers use the default mouse, default pad, and default layout, and they’re all a case of RSI waiting to happen. Personally, I like the cloth mousepads because they don’t collect the gunk that plastic mousepads seem to collect. Remember, kids, you’re shedding skin all the time, so having it go somewhere other than the bottom of your mouse is an option. Not really thinking ahead when ordering furniture, I soon discovered that a glass desk and optical mouse isn’t a good combination. I can, however recommend these: http://steelseries.com/gaming-mousepads if you need a excellent, very thin, mousing surface. About 8 or 9 years ago, I bought an Everglide mouse surface, I guess you’d call it. It’s a hard textured plastic thing roughly shaped like a fat crescent (think Batman logo) and about a quarter inch thick with beveled edges. The logo has almost worn off, but it’s otherwise still totally functional. It was billed at the time as a super-fast gaming mousepad, designed for the then-relatively-new optical mice. It’s easy to clean, and hard to imagine it wearing out anytime soon. I use a Qpad CT since a few years back and i love it. 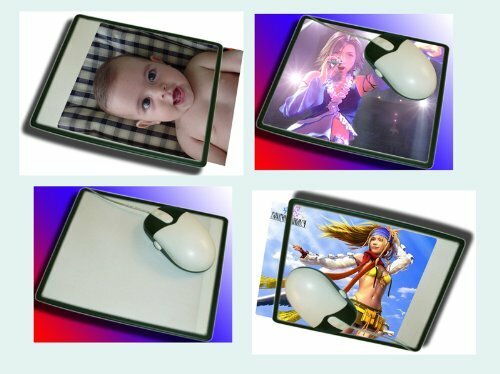 The visible layer above has some special mosaic like pattern which helps the optical mice track better, while at the same time lets you see your photo. I play Unreal Tournament series with it with no perceived problems. Then again I also use a background switcher on my computer with all the icons hidden. And my desk has a clear cover so I can customize yet again. Gotta have my photos showing and stuff. Although I agree with mousepads - I keep one around for my laptop (I hate touch pads), and I use one with my computer at home. But I don’t bother getting anything fancy - just plain old tourist-trash ones with pictures of pirates, paintings, or just various snapshots of scenery work fine with my mouse without any need for high-tech stuff. And since they’re basically cloth with rubber behind them, they’re easy to fold up when I’m going around with my laptop. Jeff, I too have a full force mouse fetish and I have tried a several mouse pads most consider overkill. 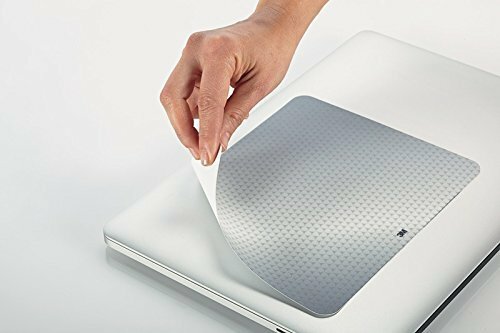 Imagine my delight when I see you are using the same mousepad as I am (validation of overpriced equipment is always good). I have also heard some really good things about the Func Industries mousepads, and they are half the price of the razor. I gave up on using ‘mousepads’ a few years ago, I couldn’t find a single one - although a 3M precision optical surface mat got closest - that didn’t in some way interfere with the optical sensing process, usually it would just be slight jitters when crossing slight colour boundaries, but it was enough to be annoying. I switched after reading something stating that the best surface for a wireless optical mouse was a bright surface, and that paper was ideal, so since then I’ve been using a sheet of A4 paper taped to the desk - it needs changing every couple of months, but its a quick, cheap and easy procedure. On top of being a great and fast mouse surface, I also get the benefit of being able to scribble phone numbers and such in the edges of my mouse mat, although that does reduce the lifespan of that particular sheet, obviously. My ideal mouse pad would come as a calendar. 12 pages, one for each month. Each month you tear off the top page and you get to start over with a fresh, clean surface. Jeff oils his mouse feet? I have a Razer mouse too, but for a mousepad I have a genuine Indian wool woven mousepad. It looks cool, but I suspect Jeff would be appalled. Every now and then a strand of wool catches one of the mouse feet. I think all but one of the foot pads has now been ripped off this way. I’ve about come to the conclusion that mousepads are superfluous today. I recently started using a laptop and an accessory mouse at home. I sit in a LazyBoy recliner for most of my general web-surfing (and the occasional game of Civilization). I’ve used my “invisible” LED notebook mouse on the uneven cloth arm of the recliner chair. I understand the need for precision mousing if you are playing some new shooter, but for about 99.9999999999% of mousing being done by the total mousing population… I’d say mousepads are not needed anymore. Sometimes fun to have and talk about… but not necessity. Above all else it’s comfortable. I’ve never had any problems with accuracy (I use it for gaming as well as every day use). My razor coppperhead mouse (the blue one in the picture Jeff posted) works great with it.